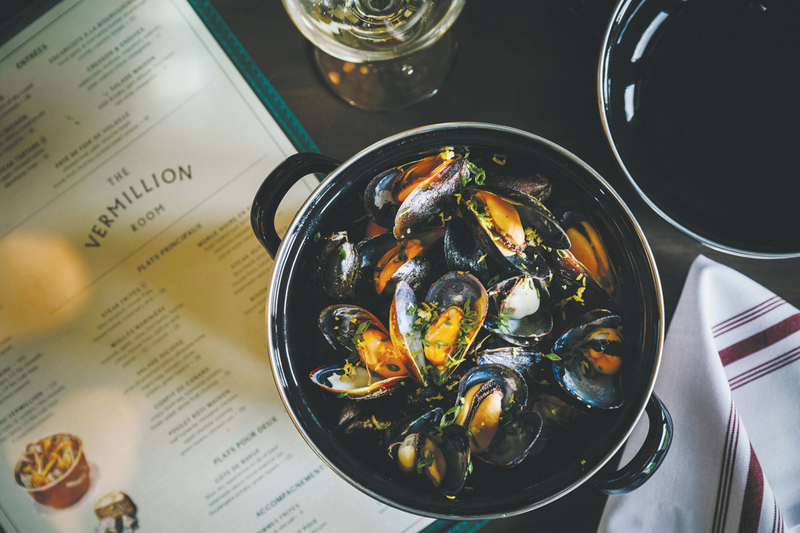 In just over two hours, guests indulge in food and a drink pairing at four of the hotel’s restaurants: Stock Food & Drink, The Vermillion Room, 1888 Chop House and Grapes. Grapes at the Fairmont Banff Springs. Photograph courtesy of Fairmont Banff Springs. The Fairmont Banff Springs has always felt like a world of its own. The massive hotel, styled to resemble a Scottish castle, is so well-outfitted with restaurants, lounges, spa amenities, an outdoor heated pool and green spaces, that guests could conceivably experience a rich mountain getaway without ever leaving the property. The hotel’s food program is particularly robust — with 12 restaurants on site, there’s a wealth of high-end eats within the castle’s walls. It’s why culinary outfitter Alberta Food Tours launched Eat the Castle earlier this year. It’s the first Banff-based experience for the company, which also runs tours in and around Calgary, Edmonton and Canmore. Eat the Castle features four stops, all within the main hotel, making it an ideal experience for those inevitably blustery days when it’s too cold to enjoy the outdoor wonders of Banff National Park. 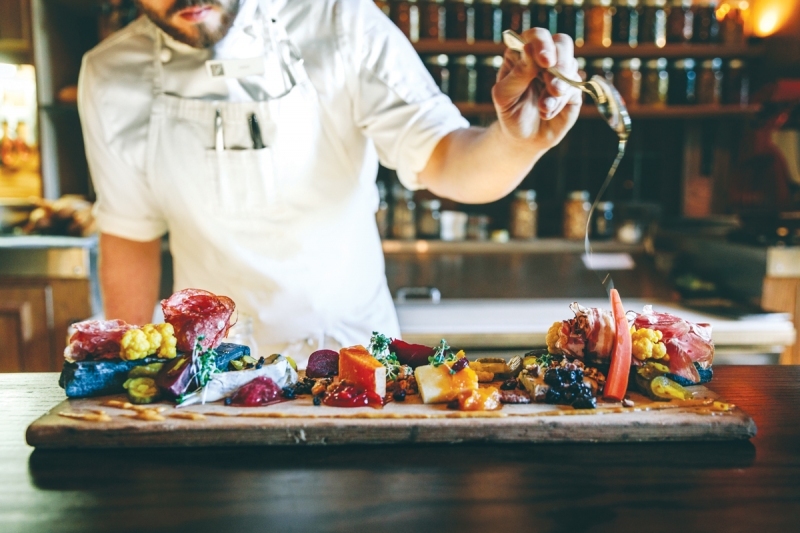 In just over two hours, guests indulge in food and a drink pairing at four of the hotel’s restaurants: Stock Food & Drink, The Vermillion Room (a French bistro-inspired restaurant that opened this past May), 1888 Chop House and Grapes (a charcuterie and wine bar). Alberta Food Tours’ Eat the Castle Tour is $175 per person, plus GST (price includes gratuities). Tickets can be purchased in advance at albertafoodtours.ca. The Vermillion Room at Fairmont Banff Springs. Photograph courtesy of Fairmont Banff Springs.